Coast Spas CEO Don Elkington, who has masterminded the global success of the pedigree hot tub and swim spa brand, was among major benefactors supporting a record-breaking Arthritis Research Canada (ARC) event that raised $285,000. Currently one in six Canadians suffers from a disabling form of arthritis and since its inception in 2000 British Columbia-based ARC has helped to raise nearly $1million to help fund research and has become the largest clinical arthritis research centre in North America. Don, who is the ARC Vice-Chair, and fellow attendees of the 2016 ARThritis Soirée, dug deep to provide large donations that produced a record haul of $285,000 during the organisation’s signature fundraising initiative that was fronted by ARC founder and internationally respected rheumatologist Dr John Esdaile and gala creator Naz Panahi. Dr Esdaile and ARC’s scientific team of 70 are creating a future where people living with arthritis are empowered to triumph over pain and disability. Each of the three centres in British Columbia, Alberta and Quebec are leading research in arthritis prevention, early diagnosis, treatment and quality of life issues that has now been boosted by this year’s record-breaking ARThritis Soirée. Champagne and British Columbia wines from the LaStella and Le Vieux Pin Wineries were flowing during the fourth staging of the ARThritis Soirée that involved silent and live auctions, which included the chance to land an L.A Experience with the opportunity to attend a live taping of ‘The Late Show’ with James Corden and to be his VIP guests. Fencing was this year’s chosen art form and Olympian Hristo Etropolski and emerging fencing talent Alex Terziyski showcased their impressive swordmanship; but the star of the evening at The Vancouver Club-hosted event proved to be Keynote Speaker Tamara Komuniecki. Tamara gave an insight into her life of living with severe juvenile rheumatoid arthritis. From the age of six Tamara has been suffering from chronic pain and over the years has had four joint replacements and other surgeries. In the future Tamara will also require a hip replacement and has to have regular medical appointments with her rheumatologist, internal medicine specialist and orthopedic surgeons. Inspired by Tamara’s story and her battle with arthritis, attendees provided donations ranging from $250 to $10,000 and Don Elkington was among the major benefactors along with Jack Kowarsky, Colin Hansen, Daniel Parlow and Monir Panahi. Their generosity and other fundraising elements propelled the nights record total to $285,000, which was $15,000 more than the 2015 event’s total of $270,000. “I am truly grateful to each of the generous sponsors, donors and guests who contributed in making the 2016 ARThritis Soiree such a success,” said Naz Panahi; “With so many great causes needing our support, it was incredibly heartwarming to see the support and commitment to arthritis research. Coast Spas, which was one of the ARThritis Soirée event’s sponsors, have been working closely with arthritis experts over the years to help enhance the designs of the Coast Spas Wellness range of hot tubs and swim spas that have been bestowed with 2016 WhatSwimSpa? Best Buy Awards for the Coast Spas Wellness II Play, and the newly launched Coast Spas Wellness Infinity, the world’s only ‘Infinity Edge Swim Spa’. The two models are part of the flourishing Wellness range that has a dedicated Wellness I superior hot tub model, pictured, which incorporates 50 jets and caters specifically for the requirements of Arthritis sufferers; as well as individuals who want to benefit from the same features that have been designed specifically to increase the quality of life for those who are hindered by joint and muscle pain. While the manufacturer’s booming hot tub range; which has received 2016 WhatSpa? Best Buy Awards for the seven-seater Coast Spas Elite Cascade II, and eight-seater Coast Spas Luxury Mirage 82; has been enhanced with major developments for this year, the Wellness range has also gained design enhancements for dealers to promote this year. These enhancements include an improved lounger design that has been launched for both the Wellness II and Wellness Infinity swim spas; and an additional swimming resistance jet has also been added to the Wellness Infinity. Wellness swim spa developments were showcased earlier this year when dealers representing four continents joined Don and his dynamic Coast Spas team in the unveiling of the stunning new 2016 lineup during two historic events in Vancouver, Canada; and Colmar, France. This marked the first time that Coast Spas has hosted two IDM events in succession and is a reflection of the massive growth in dealer acquistion that Coast Spas enjoyed last year that can now take advantage of advanced online ordering, quoting and specification sheet program as part of new online ordering that has been created exclusively for Coast Spas dealers. 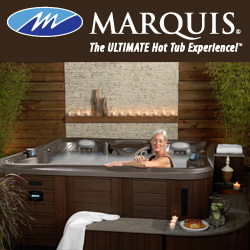 These dealers have now have an impressive choices, including the new additions to the hot tub and swim spa models, in their showrooms from the innovative Canadian manufacturer that proudly promotes its ISO 9001:2008 certification status. These include the ‘Coastal Smoke Cabinets’ with the industry­first nine inch-wide shiplap, and the innovative ‘Carbon Fiber Corners’; as well as a new ‘Aromatherapy Infusion System’. In addition, Coast Spas luxury hot tubs are now being produced with colour touch screen controls and the option to sync a Bluetooth device directly to the main spa controls, while new models such as the Alpha come standard with shiatsu massage nodules formed directly into the acrylic surface. Meanwhile, British dealers have also been given the choice of taking on entry-level models from a new line of ‘Regency Collection’ hot tub and swim spa options from the Coast Spas production line have been launched to the market with the help of A5 Spas chief and leading Coast Spas retailer Mark Anthony. Prices for the new Regency Collection hot tub and swim spa models range from just under £4,000 to £12,000 and include the 2016 WhatSpa? Best Buy Award-winning seven-seater Regency Spas Grand Duke in the £4,000 to £5,999 price bracket, and the six-seater Regency Spas Princess in the £6,000 to £7,999 price category; and the 2016 WhatSwimSpa? 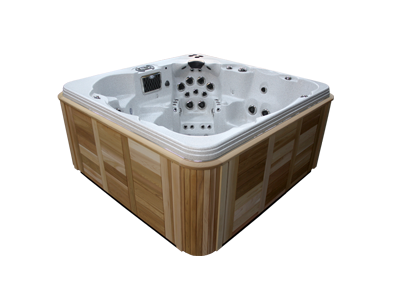 Best Buy Award-winning Regency Spas Empress in the sub £14,999 price category. Filed Under: Event news, Events & expos, New products, News, News & views, Products Tagged With: Arthritis Research Canada, Coast Spas, hot tub dealers, WhatSpa?, WhatSwimSpa?